Every summer, the Orcia Valley (Val d’Orcia) becomes a paradise for music lovers: every evening there is a chance to attend big concerts that become even more special because of the splendid locations where they are held. 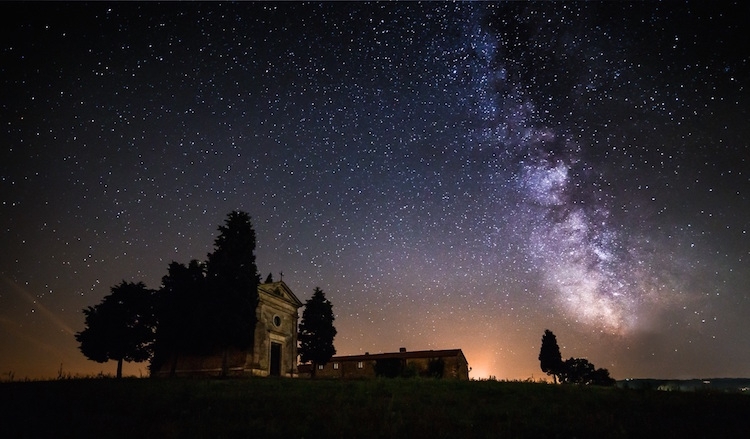 Listening to a string quartet playing Mozart or a sax playing Piazzola is a pleasure in itself, but listening to music under the starry skies of Tuscany in the courtyard of a medieval castle or in the little square of a village turns into a unique experience. One of my favourite events is Incontri in Terra di Siena (www.itslafoce.org, July 25-31). I love it because it gives me the opportunity to hear, practically on my doorstep, internationally famous musicians under the artistic direction of Antonio Lysy, famous cellist and grandson of my beloved Iris Origo, English-American writer and author of “War in Val d’Orcia”. The Amiata Piano Festival (www.amiatapianofestival.com, until August 30) is a festival founded and directed by pianist Maurizio Baglini. For the first time, the concerts will be held in a unique place for the view, surrounded by the vineyards and olive trees of Cantina Collemassari this year. Since any time is a good time to make a toast or to feast on something delicious, often the concerts are accompanied by tastings, aperitifs or exquisite dinners. Just as is the case with Jazz & Wine in Montalcino (www.jazzwineinmontalcino.wordpress.com, July 14-19), the annual festival organized by the Banfi Castle at its 18th edition in the enchanting location of the Fortress in Montalcino where big names in jazz meet glasses of Brunello. Instead, Paesaggi Musicali Toscani (www.paesaggimusicalitoscani.it, August 16-28) offers a program of classical music with artists of international fame: the Symphonic Brass of London that will perform in Rocca d’Orcia and the Orchestra da Camera Milano Classica that will put on Pergolesi’s “La Serva Padrona” are both must-sees. Finally, the Festival della Val d’Orcia (July 26-August 13) offers a rich program of theatrical productions, concerts and events with performances by Ascanio Celestini and Bobo Rondelli, among others.